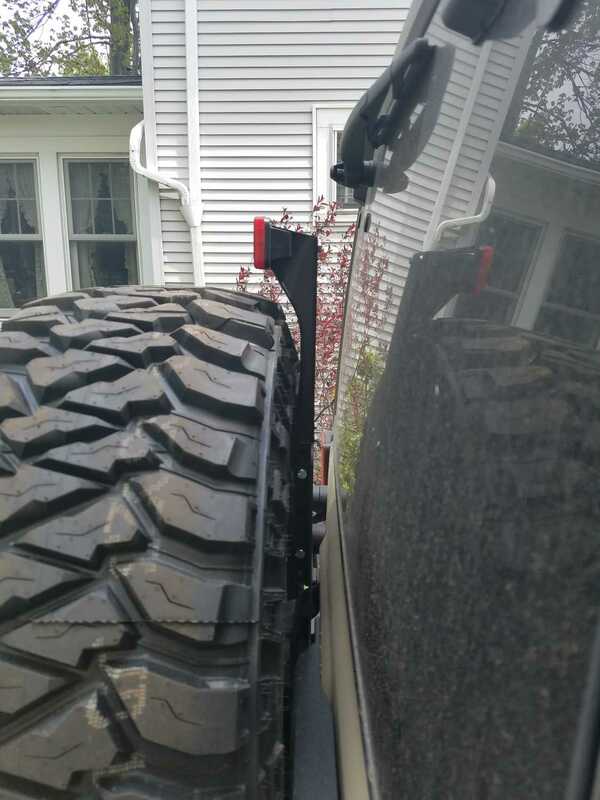 This unique bracket solves many of the traditional problems that JK owners face when adding an aftermarket bumper, larger spare tire carrier and or a CB antenna. The brake light extension is completely adjustable in 1" increments to complement tires up to 38". An integrated CB antenna mount eliminates the need for additional bracketry. The extension bracket bolts to the factory spare tire mounting holes on the tailgate and reuses the factory wiring and light. 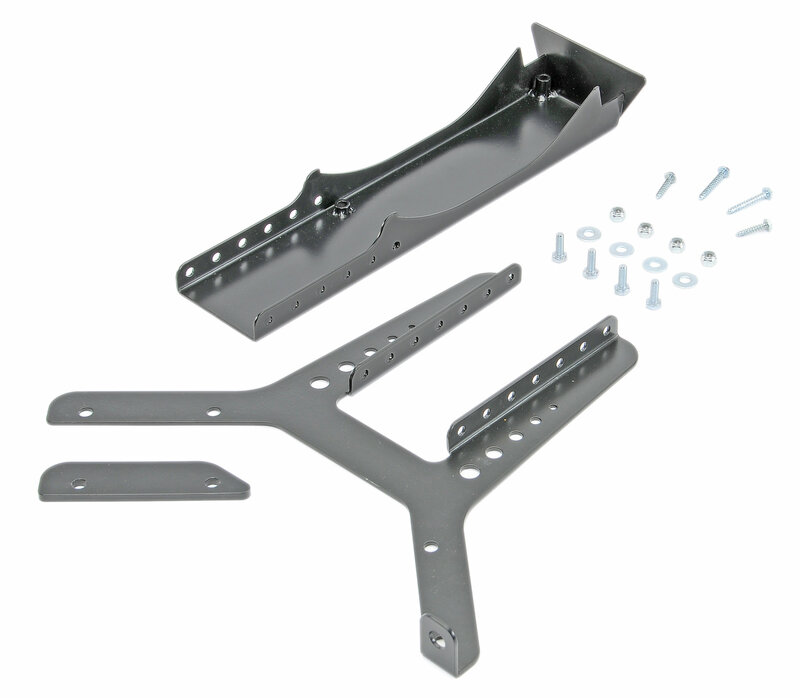 This kit is also compatible with the HD Hinged Tire Carrier. Not as ideal as it seems. Terflex builds great products, but this isn't one of them. Instructions are easy to understand, but attaching the light made the product useless. I have a stock light. Followed instructions to take the front side off and attach it to the Teraflex bracket. 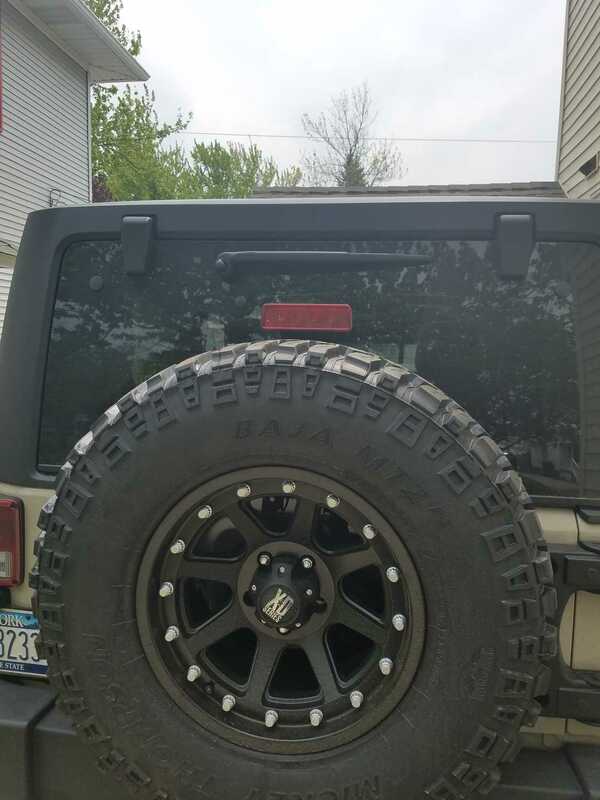 Looked good until putting it back on the Jeep. The cord didn't even reach in order to feed it back through the tailgate. Makes the wiring short by an inch (from rubber grommet) and I couldn't reach the hole to snap the grommet back into place.